As a refresher, the QBI deduction is available for the first time on your 2018 Form 1040. So, this is all new stuff for you and us (and the IRS). 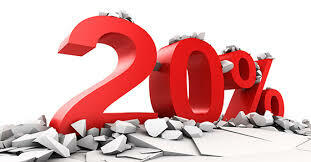 The new QBI deduction, created by the 2017 Tax Cuts and Jobs Act (TCJA) allows many owners of sole proprietorships, partnerships, S corporations, trusts, or estates to deduct up to 20 percent of their qualified business income. Yes, if you qualify – that may be a huge deduction for you. So, when it comes to the interpretation of 199A, there is a lot at stake for a lot of businesses. Landlords have anxiously awaited further guidance in regards to Section 199A. There has been much speculation if, when and how the Section 199A would apply for them. Finally, on Friday, January 18, 2019, the Treasury Department and the Internal Revenue Service issued final regulations on the implementation of the new qualified business income (QBI) deduction for rentals. Now we have to interpret their interpretation. And, only time will tell, whether this final interpretation is their last interpretation (probably not). What follows is specifically about landlords and the applicability of 199A. For starters, let’s define “triple net lease.” This term often comes up in business conversations. Interestingly, not everyone has the same definition in mind. So, excerpts from the first article below define some different types of leases before moving into the second and last article which tends to revolve around “triple net leases.” Please keep in mind that his interpretation of the final 199A interpretation as well as some of his opinions may differ from ours. Many parts of the new tax law are still fuzzy, moving targets and this one is no exception. • Single net lease (N lease). In this lease, the tenant pays base rent plus their pro rata share of the building’s property tax (meaning a portion of the total bill based on the proportion of total building space leased by the tenant). The landlord covers all other building expenses. The tenant also pays utilities and janitorial services. • Double net lease (NN lease). The tenant is responsible for base rent plus their pro-rata share of property taxes and property insurance. The landlord covers expenses for structural repairs and common area maintenance. The tenant once again is responsible for their own janitorial and utility expenses. • Triple net lease (NNN lease). This is the most popular type of net lease for commercial freestanding buildings and retail space. The tenant pays all or part of the three “nets” – property taxes, insurance, and CAMS – on top of a base monthly rent. The appeal of a modified gross lease is the tenant has one set amount to pay each month. In a modified gross lease, the base rent and “nets” (property taxes, insurance and CAMS) are all included in one lump sum payment; excluding utilities and janitorial services, which are typically covered by the tenant. Why Is the IRS Punishing Triple Net Landlords? “There are horrible people who, instead of solving a problem, tangle it up and make it harder to solve for anyone who wants to deal with it. While the IRS as a whole is by no means “horrible,” the new Final Regulations regarding Section 199A of the Internal Revenue Code must seem that way to landlords who lease property under triple net leases. The vast majority of these will not be considered to be “active trades or businesses” for purposes of qualifying for the 20% deduction that will be available to most active landlords. Code Section 199A was introduced to the Internal Revenue Code as part of the 2017 Tax Cuts and Jobs Act with the intent of giving taxpayers some degree of parity with the 21% income tax bracket bestowed upon large and small companies that are taxed as separate entities (known to tax professionals as “C corporations.” C corporations are different than “S corporations,” as S corporations report their income under the “K-1” system that causes the shareholders to pay the income tax on their personal returns). Since the term “trade or business” was not defined under Section 199A, the real estate community has been waiting for the Final Regulations which were released on Friday, January 18, and basically follow what the Proposed Regulations (released last August) said, which is that passive investors are not considered to be an active trade or business, even though they take significant economic risks and may work hard to verify that the tenants pay the taxes, insurances and maintenance of the leased property, comply with applicable law and otherwise do what tenants are supposed to do. This seems very unfair since REIT (Real Estate Investment Trusts) income will often include triple net lease profits that will qualify for the Section 199A deduction, and C corporations only have to pay the 21% rate on net income from triple net leases. Tax professionals, and masochists may enjoy or derive a better understanding by reading on. 2. The primary purpose of the activity must be for income or profit. The very definition of a triple net lease seemingly disqualifies the majority of triple net landlords from qualifying under this definition under the assumption that they do not have continuous and regular involvement. With triple net leases, the tenant is usually responsible for the three “nets”: real estate taxes, building insurance, and maintenance. By having the tenant be responsible for most of the on-site responsibilities, the landlord is able to spend more time and effort buying and selling other properties and therefore investing more into the economy. In turn, triple net lease agreements usually benefit the tenant because the pricing of the agreement will reflect the fact that the tenant will be responsible for a lot of the on-site responsibilities. Now tenants have the upper hand when landlords ask to be allowed to provide at least 250 hours of services per year (cumulatively, as to all leases that the landlord will aggregate under the complicated aggregation rules, which are discussed in our blog post entitled Real Estate: Investing with Section 199A: Don’t Let Your Deductions Fly Out the Window). The new Final Regulations do, however, contain one saving grace for taxpayers with triple net leases by quoting the 1941 Supreme Court case of Higgins v. Commissioner. In Higgins the Supreme Court stated that the determination of “whether the activities of a taxpayer are ‘carrying on a business’ requires an examination of the facts in each case.” Since it is a factual determination, a taxpayer with the right facts can successfully argue that his or her triple net or almost triple net rental enterprise should constitute a qualified trade or business. However, doing so will be a tough and expensive hurdle for many landlords to jump over. Perhaps Congress will act in a compromise to assist the continued growth in the economy in recognizing that taxpayers with triple net leases put themselves at significant financial risk, in that tenants like Toys R Us and Sears may go bankrupt and leave a landlord high and dry after many months of eviction and then bankruptcy litigation. Many landlords are not aware that the bankruptcy law allows tenants to have the court terminate long term leases and limit damages to one year of rent. 3. the taxpayer maintains contemporaneous records, including time reports or similar documents, regarding the following: a) hours of all services performed, b) description of all services performed, c) dates on which such services are performed, and d) who performed the service. Interestingly, while triple net lease arrangements outside of REITs will likely not qualify under Section 199A, banks that are taxed as S corporations, or partnerships, are eligible for the deduction, although in many respects a loan is like a triple net lease where the landlord has put money out for a long term series of payments, where in many cases the vast majority of the value is in the years of payments to be received, just like a long term promissory note. It is even more disturbing that other types of businesses involving much less risk on the part of the owner qualify for the deduction. These include brothels, franchisors and vending machine owners. How is it possible that a brothel owner sitting back and receiving rent from independent contractor “professional entertainers” may qualify for the benefits of Section 199A, but taxpayers with triple net leases do not? I am receiving a gift…how much gift tax will I owe? This is one of the more common questions that we receive. It is easy to make the tax concept of gifting more difficult than it is. The tendency is for the recipient of the gift to assume they must pay a “gift tax.” After all, they were the ones that received the gift. That would seem logical but it is not true. If anyone pays a gift tax – it is the giver not the receiver. That, seems counterintuitive as well, being that the person who made the gift now may have to bear the tax burden on something they no longer have. However, because of an assortment of planning opportunities, few gifts result in a tax gift. 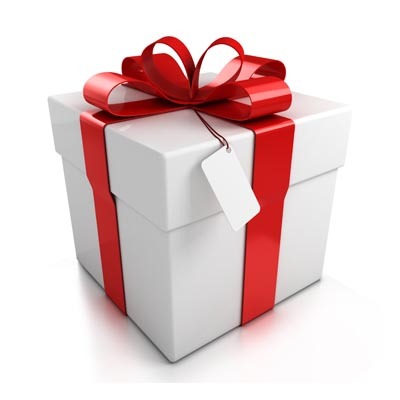 The IRS doesn’t necessarily want to tax gifts per se. They just want to be sure that taxpayers aren’t using gifting mechanisms to reduce their taxable estate and beat the government out of future estate taxes. Some nice explanations and planning strategies follow as authored by Dawn Doebler on December 5, 2018. The simplest rule to keep in mind is the “federal annual gift tax exclusion.” This limit is $15,000 per person in 2018 and can change each year. So long as you keep the value of your gift below $15,000 per person, you are free to gift to an unlimited number of people and will not have to report it or worry about paying any gift tax. For married couples, each person can use their own exclusion amount, meaning parents can gift up to $30,000 per child without triggering the gift tax. Gifts between legally married spouses are exempt — you can give an unlimited amount to your spouse! … you make a gift in excess of the annual limit. Then you’re required to file Form 709, which is the gift-and-generation-skipping-transfer tax return. This doesn’t necessarily mean you’ll owe any tax. In fact, it’s likely you won’t. This return tracks the extra gift amount and will be deducted from your “federal lifetime exemption,” which applies when your final estate is settled after your death. As an example, if you are married and make a one-time gift of $50,000 for a down payment on a home for your unmarried child, you’d be required to file a gift tax return and report the $20,000 excess gift ($50,000 – $30,000: the combined annual gift limit for a married couple). The federal estate tax exclusion amount is the mechanism that connects gift tax laws with estate tax laws. The federal government uses this rule to limit the amount you can give away over your lifetime. This rule prevents wealthy individuals from giving away all of their money before their death to circumvent estate tax. (The top estate tax rate is 40 percent.) With the passing of the new tax law, the exclusion amount was increased to $11.18 million per person (which translates to $22.36 million for a married couple). So long as you give away less than $11.18 million over your lifetime, you likely won’t owe any federal gift tax. While this is a high number now, it’s not permanent. In 2025, this limit will sunset back to $5.6 million per person. If your wealth currently exceeds $11.18 million, it may make sense to take advantage of these higher limits between now and the end of 2025. It’s also important to document gifts that exceed the annual per-person limits to correctly plan in the future, as the laws may change. One of the simplest ways to avoid having to file a gift tax return is to spread gifts over multiple calendar years. In the prior example, rather than gifting your child’s home down payment of $50,000 in one year, you could gift the maximum of $30,000 at the end of this year, and then gift the remaining $20,000 in 2019. With just a little bit of advance planning, you can split larger gifts into multiple tax years, and avoid using any of your lifetime exemption or having to file a gift tax return. Remember that these gift tax rules apply no matter what kind of asset you’re giving. One way to manage the overall tax effectiveness of your gifting is to give stocks rather than cash. For example, gifting appreciated stock is helpful if the gift recipient is in a lower tax bracket than you. You could avoid having to pay capital gains on the gifted stock and may be able to completely eliminate gains tax if the recipient’s income puts them in the zero-percent capital gains tax bracket (i.e. if a single person has income below $38,600). Keep in mind that kiddie tax rules apply if you are gifting to a child. For these reasons, it’s a good idea to consult with a CPA if you’re thinking about gifting stocks, real estate or other non-cash financial assets. You may also want to consider non-cash gifts as donations to donor-advised funds. Another way to avoid gift tax payments or reporting is to make use of the special exemptions provided in the laws. In the case of gifting for college funding, special rules apply to 529 plan contributions. You may exceed the annual gift limit by applying the exception that allows you to gift up to $75,000 to a 529 plan in one year. ($15,000 x 5 years = $75,000 per person per child). Another exception allows you to gift an unlimited amount for either medical expenses or education tuition so long as you make payments directly to the institution providing the services. As the size of your gifts and your overall wealth increases, it’s wise to keep an eye on both the federal lifetime exemption amount and the annual gifting per-person limits. Doing so will keep you aware of any reporting requirements while also preserving the integrity of your lifetime exemption and maximizing the amount of money you can gift to others throughout your lifetime. Dawn’s experience spans more than 25 years providing wealth management, financial planning and corporate finance solutions for clients. As an MBA, CPA, Certified Financial Planner (CFP®), and a Certified Divorce Financial Analyst (CDFA®), she is uniquely qualified to understand the challenges and financial needs of clients from executives to entrepreneurs, as well as single breadwinner parents. Dawn is a weekly contributor to WTOP radio. I would rather have an IRS audit than a sales tax audit for a multitude of reasons that I won’t bore you with. Just take my word for it! 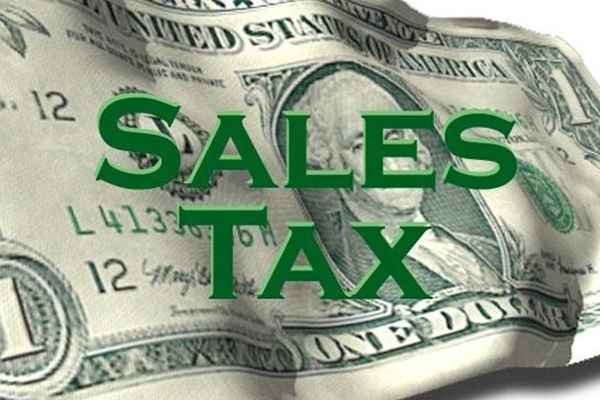 Too many taxpayers are more diligent with meeting their IRS tax compliance than with their sales tax requirements. You better be diligent with both of these taxes or you have a lot to lose! Excerpts from an article follows on South Dakota v. Wayfair, Inc., U.S. (2018). As businesses increasingly use internet to sell, their sales tax compliance has become even more cumbersome and complex. I have spared you a lot of history in this article and just shown the author’s FAST FACTS. You may also go directly to the online article if you are interested in more details. 1. “Reversing precedent, the U.S. Supreme Court finally upheld a requirement that retailers withhold and remit sales taxes for purchases made by customers in states in which the retailers have no physical presence. 2. South Dakota, like other states, experienced a substantial decline in tax revenues as more and more of its residents purchased goods and services online from out-of-state retailers. 3. On a national level, states were losing $8-33 billion of tax revenue per year in uncollected sales taxes by out-of-state sellers. In addition, at the time the Supreme Court rendered the Quill decision in 1992, less than 2% of Americans had internet access while that number is 89% today. • Even if your contract work is just a side gig, you’re still running a business, so it’s important to track your expenses. 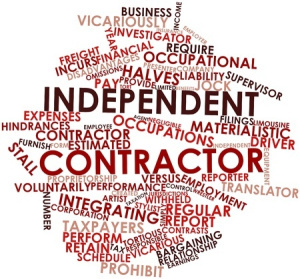 Independent contracting comes with additional tax burdens (e.g., there is no employer contribution, so the entire payroll tax burden falls to you). On the other hand, you can deduct expenses that you couldn’t take as an employee. As an employee, your work commute is not tax deductible. “But as an independent contractor, it’s no longer a commute,” Bezozi said. If you’re going from your office to your client’s office, keep a log and take your mileage off your taxes. You can also deduct transit expenses for travel to a client. “There’s no reason why you can’t deduct that portion of the apartment and/or home expenses, based on square footage” that you use for a home office, Bezozi said. To be deductible, your home office “has to be regular and exclusive use and your principle place of business,” he added. Bezozi also noted that if you’re super conscious of cyber security, you might want to have separate devices for personal and business use, especially if you have employees. “Generally, you want to have some kind of professional liability insurance,” Bezozi said. “You may want to have cybersecurity insurance. Eventually you want to have disability insurance. That’s something that people don’t think about.” All these insurance premiums are deductible. “Most people that start out in business, especially in the gig type of economy, are going to be looking to meet people,” Bezozi said. Whether you go across town to a networking event or across the country to a professional conference, your travel expenses can be deductible. “When you meet a client, if you have a meeting over coffee or lunch or a fancy dinner, you can write off the cost of half of that meal,” Bezozi said. The tax rules have changed, however, so you non-meal entertainment expenses are no longer deductible. “If you take a client to a concert, you can no longer deduct that,” he noted. “Anything to make you better and more knowledgeable in what you do now” is deductible, according to Bezozi. The training must be “something that enhances your ability in your current career but doesn’t get you ready for a different career,” he added. He noted that subscriptions to professional magazines and apps and software that you use in your business are also deductible business expenses. If you charge business expenses on a credit card, Bezozi said, “the portion of interest that relates to business expenditures can be deductible.” He noted that there is a limit to the deductibility of this interest, but the limit is high enough that it won’t apply to most independent contractors.